The conditions under which apes are kept vary widely, but every form of captivity presents some risk to their welfare, as broadly defined by the concept of the Five Freedoms: freedom from hunger and thirst; discomfort; pain, injury, and disease; fear and distress; and freedom to express normal patterns of behavior. By definition, even benign forms of captivity often involve some degree of maternal deprivation and social isolation. 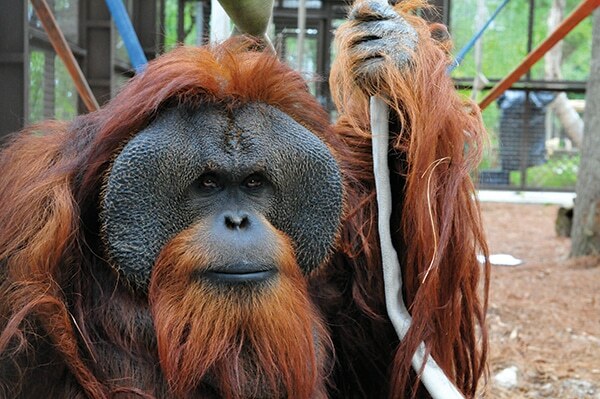 Apes retired or rescued from captivity may be relocated to sanctuaries. Many of these are now at or approaching their capacity, in part because the capture and slaughter of adult apes has increased the number of orphans in the wild. Following a landmark policy shift in 2013, hundreds of chimpanzees now held in U.S. research facilities are due to be released to sanctuaries in the near future. Only in rare and expensive scenarios can previously captive apes be released into the wild, which is a risky and demanding process by any measure. The released ape must be free of disease that might infect the wild population, must have learned the skills needed to survive in the wild, and must be set free in an area with adequate, secure forest range to support it. Thus the fates of apes in the wild, in captivity, and in sanctuaries are intertwined, and their conservation will require a shared global ethos that values apes in their own right.